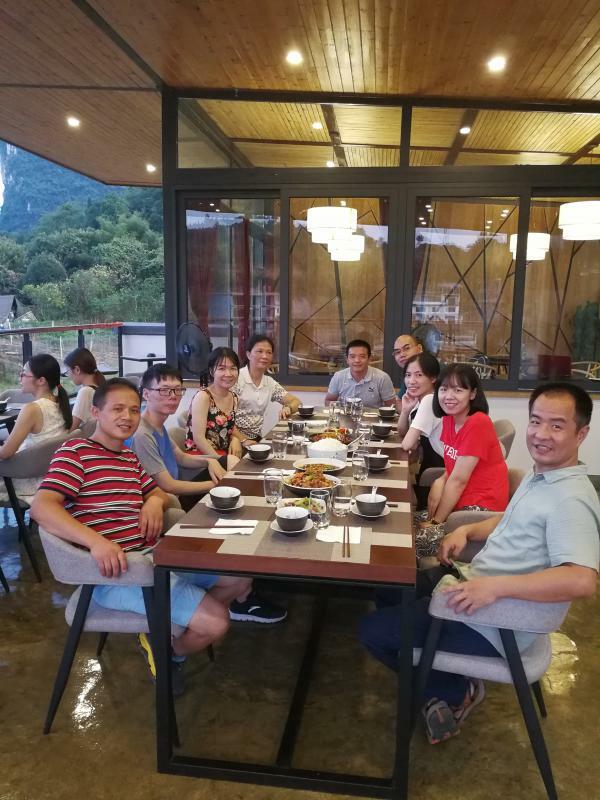 On August 30th, the team of ETC had a delightful rewarded summer trip to Yangshuo, which was due to the whole team’s months of hard working in the office. 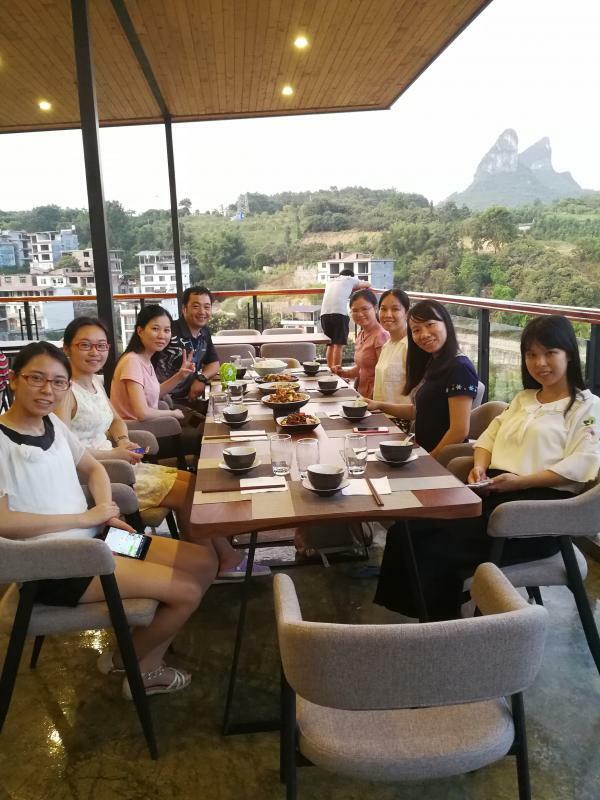 We set out at 15:00 p.m.. About 1 hour later, we arrived Yangshuo, and had the happiest time with our lovely colleagues in Bamboo Leaf Hotel, which is not far away from the West Street. 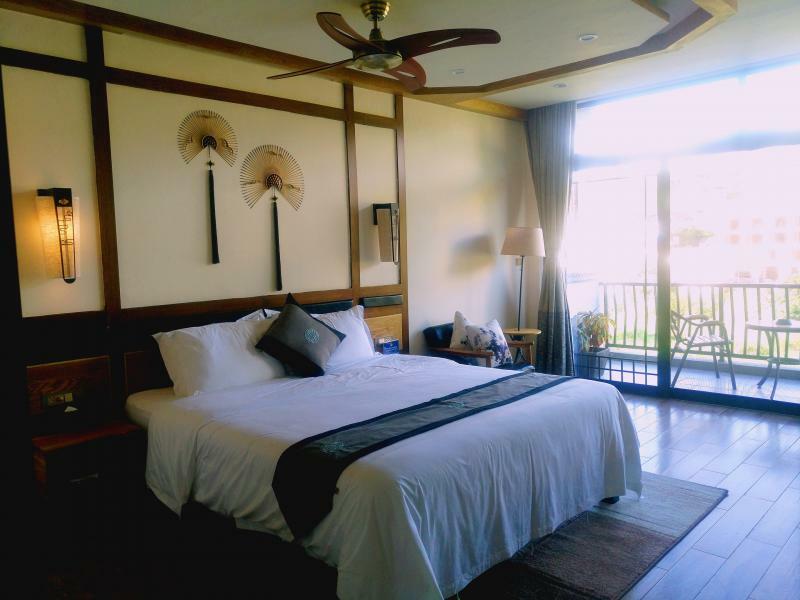 This Hotel is newly opened, simple Chinese-style and very cozy. The rooms are of an adequate size and clean with broad balcony. The beds are comfortable. The staffs are so friendly. The food is diverse and delicious. 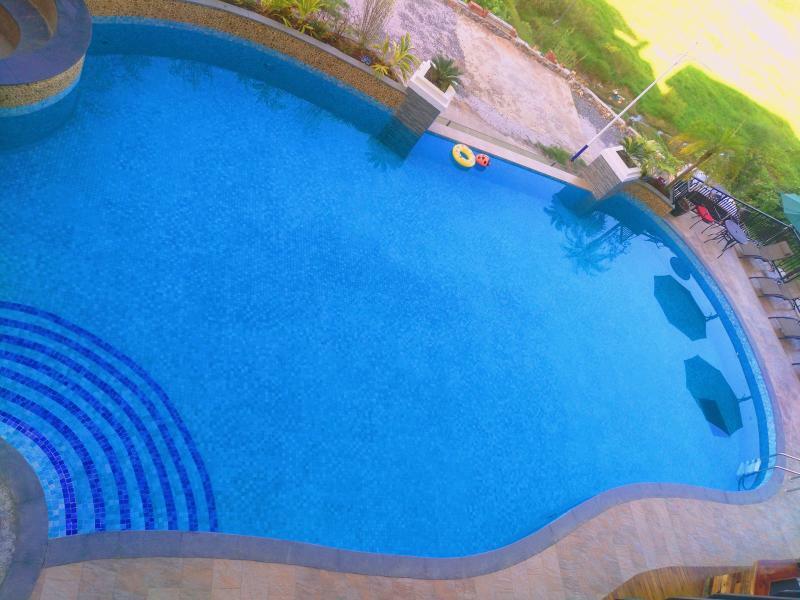 Besides, it has an outside swimming pool at the 2nd floor! Happy time really flies, and soon it was night. 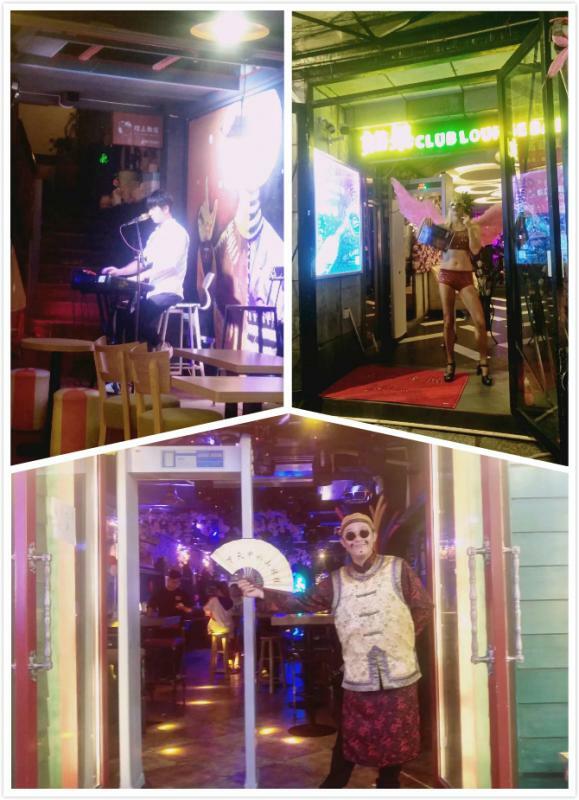 After a nice dinner, we wandered through the West Street, experienced the exotic flavor combined with traditional culture of Yangshuo West Street, and tasted some local snacks. Then we went back to the Bamboo Leaf Hotel, and had a sweat sleep. The next morning, we went to the Yangshuo Taichi & Kungfu School, and took a Taichi class. Tai Chi: Good for the body and mind. This class is both relaxing and physically challenging. The master told us that more and more people from all over the world came here to learn Taichi. So we all grabbed this awesome opportunity to learn this Chinese cultural legacy seriously. 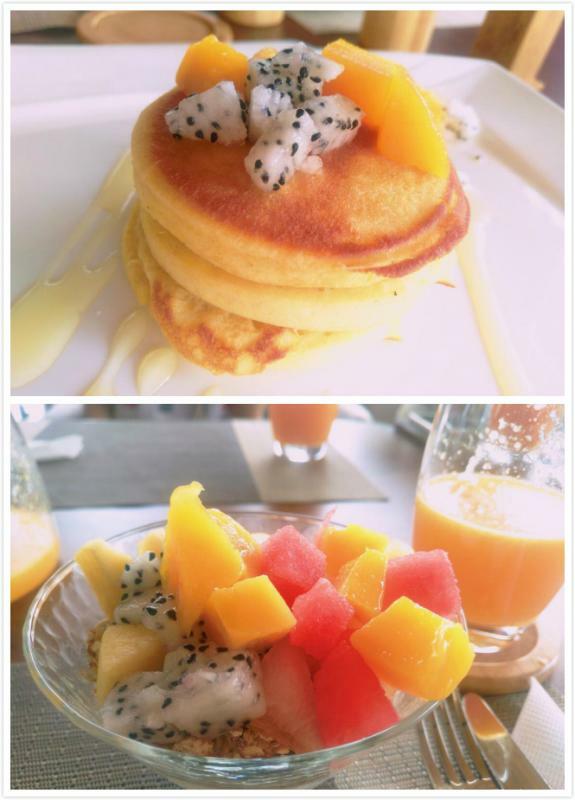 After the Taichi class, we enjoyed a nutritious breakfast at the hotel, and then headed to the next destination - The Ancient Town of Fuli, which is known for Chinese fan painting. There are several fan galleries along the old street. 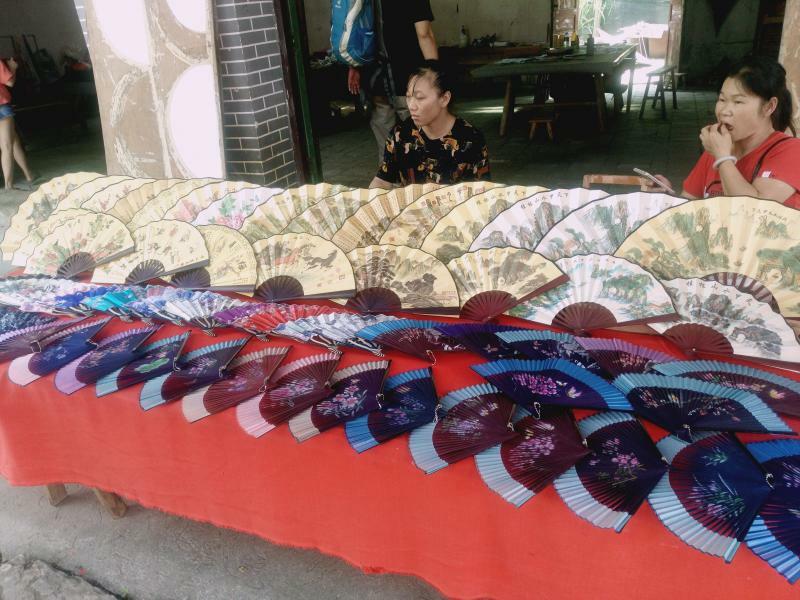 The Fuli locals are committed to inheriting the intangible cultural heritage of China. We entered one of these fan galleries, and observed the master drawing a landscape painting just in a few minutes. His mature drawing skills amazed us all. We itched to try to make our own fans, and experienced the joy of fan painting. The master told us that there are six requirements for Chinese painting, namely, spirit, charm, implication, composition, brushwork and ink application technique. He patiently taught us how to use these skills to paint. After learning and practicing, it turned out that we were all very talented in painting! This was a special and interesting experience. 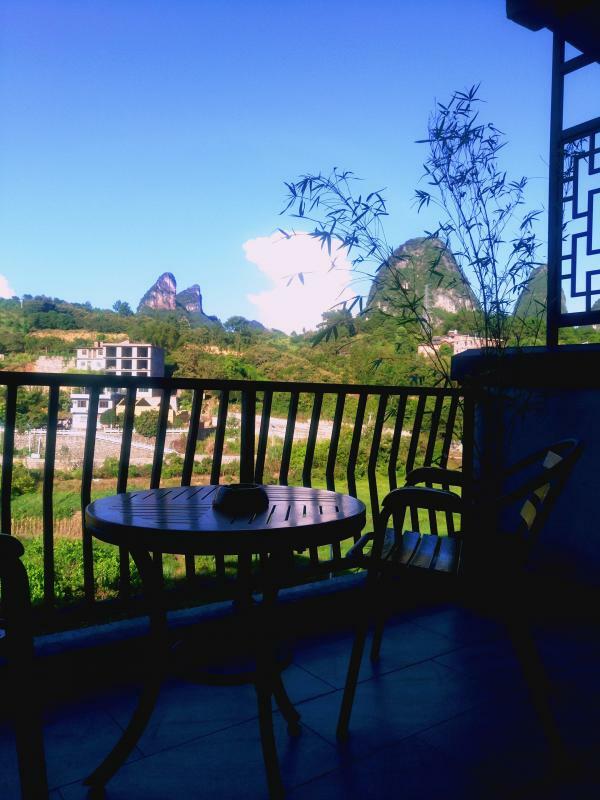 In a word, we enjoyed this lovely Yangshuo trip so much, and spend the pure leisure time together.